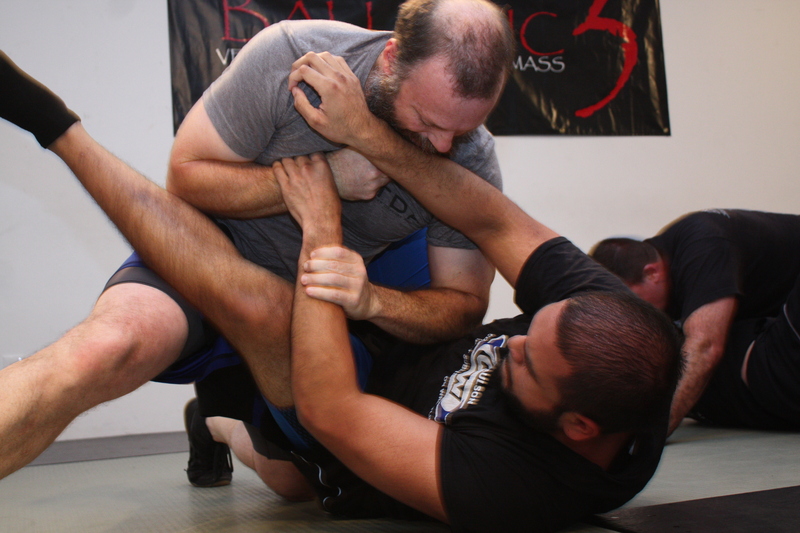 What is Combat Submission Wrestling…and why should I learn it? As one of the assistant coaches for the Combat Submission Wrestling (CSW) program, I get asked this question a lot. People want to know what the program is all about, what makes it different from other grappling styles, and why they should invest the time, energy and money into learning it. These are all great, very valid questions, and I always answer from my own experience. I have been in law enforcement my entire adult life. In that time (almost 25 years), I have been exposed to plenty of self-defense systems, martial arts, and training programs. Sometimes I sought the information out…other times, it was mandated by the agency I worked for. I have seen lots of good information, and occasionally some not-so-good. In those years I have also learned a lot about real-life physical confrontations. Here is one of the biggest things I have learned in those 25 years…in a fight, the ground is a dangerous place to be…even if that was your intended destination. Whether it is called wrestling, grappling, or ground fighting, the ability to fight on the ground is essential. I won’t sit here and throw made up statistics at you. Truthfully, I have no idea how many fights end up on the ground. I know 99.9% of them start on the feet…but whether someone gets tackled, gets knocked down, slips, or trips…most fights end up with one person on top of another…and the one on the bottom usually loses. So…what’s my point here? Simple…you need to either learn how to fight on the ground or at least escape and get back up. Furthermore, you need to know how to get off your back and out of the bottom position…quickly. Otherwise, in my opinion, you are kidding yourself about your self-defense capabilities. This is where CSW comes in. CSW is not JUST Brazilian Jiu-Jitsu. CSW is not JUST Judo, or Greco-Roman Wrestling. Erik Paulson’s Combat Submission Wrestling system combines the most effective methods from multiple grappling and wrestling styles (including those I mentioned) into a streamlined, easy to comprehend course that builds upon itself through each progressive level. From Day One, you will learn effective techniques to control an aggressive opponent and dictate what happens on the ground. You will be taught to constantly work for the top position and achieve dominance. Whether you choose to escape and leave the scene, hold your opponent down until help arrives, or force your opponent to submit, the Combat Submission Wrestling program will give you life-saving options. As a person who has been in more physical confrontations than I would care to admit, I can attest to the effectiveness of this program. It has provided me with a sense of confidence and control that I was previously lacking, and an ability to dictate how much force I apply, if any. I do not fear falling down or being taken to the ground; I already know what is going to happen when I get there. I encourage you to set your fears aside and come join us on the mats. Come see what you have been missing. You will be glad you did. 2013. All Rights Reserved MWCR, LLC.